A testamentary trust is a trust that only takes effect upon the death of its settlor (creator). The trust is typically created by inserting a provision in the settlor's will; once the settlor dies and the will takes legal effect, the trust takes effect as well. Before dying, the settlor must designate specific property (money, real estate, life insurance proceeds, etc.) to be transferred into the trust upon his death. 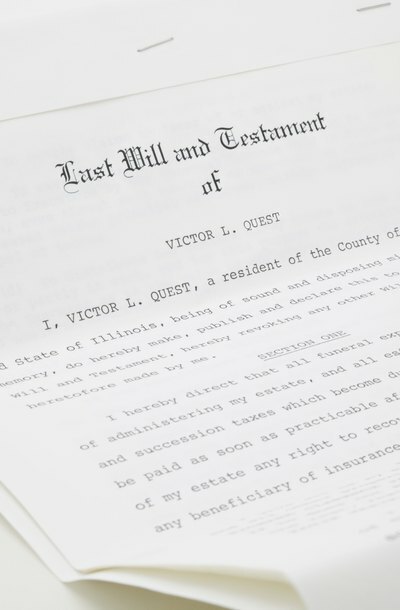 Although the settlor can make changes to a testamentary trust at any time before his death, upon his death, the trust becomes irrevocable and cannot be changed except by the probate court. When creating the trust, the settlor chooses both a beneficiary, who receives the benefit of the trust, and a trustee, who safeguards the trust assets. The law imposes a duty of loyalty on the trustee; he must act in the best interests of the beneficiary and not use trust property for his own benefit. To this end, he must earmark the property, keeping it completely separate from his own assets. Furthermore, although the details of this duty may vary by state, the trustee is generally required to make trust assets grow at a reasonable rate via prudent investment. The trustee may also be subject to additional duties outlined in the trust itself and imposed by state law. A trustee's powers are outlined in the trust document. In a typical trust arrangement, the trustee will have the power to use trust assets to pay any required taxes on the trust property, as well as the power to make distributions to the beneficiaries as described in the trust. However, in a certain type of trust, known as a discretionary trust, the trustee can use his own judgment in deciding how and when to make distributions to the beneficiaries. But all powers granted to a trustee are subject to the requirements of his duty of loyalty to the beneficiaries and state law. At any time, a beneficiary has the right to demand a complete accounting of the trustee's dealings with the trust. If a probate court is presented with evidence that a trustee has exceeded her powers by refusing to distribute, has dealt wrongly with the assets, or has reaped some improper benefit from the assets, the court has the option of removing the trustee from her office. If the trustee's actions have caused actual damage to the trust, the beneficiaries may seek to hold the trustee personally liable for the loss.